Our ultrabright friend, the synchrotron X-ray, continues to pierce the veil of history. 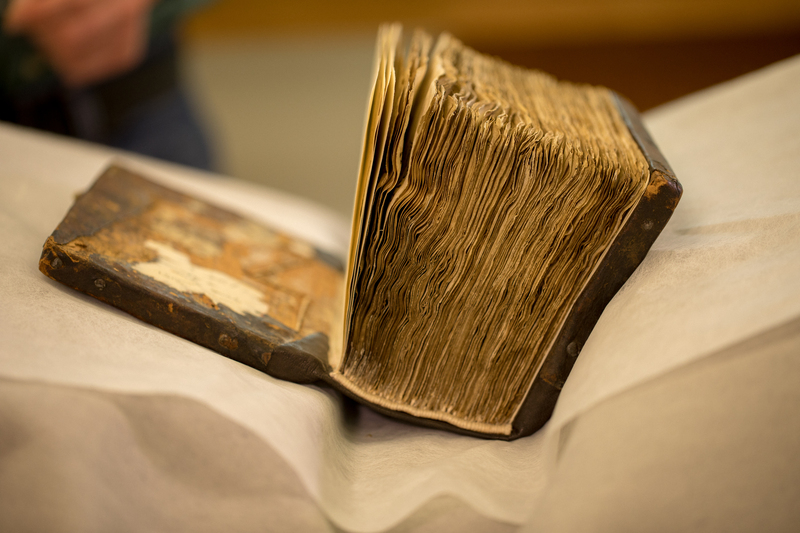 This time it has turned its unblinking eye on the Syriac Galen Palimpsest, a manuscript known to contain the traces of a 6th century translation of a work by the physician Galen, father of pharmacology, that was erased and overwritten with psalms in the 11th century. 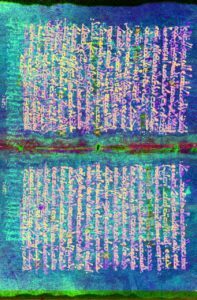 Other imaging techniques had revealed the presence of ancient text under the medieval, but it was so faint and hard to read that the concerted efforts of multiple institutions and experts over the course of a decade have not been successful in making out much of it. The later writers had used ink very similar to the original to write over the parchment once they’d erased the 6th text with calcium, and researchers feared there might not be enough trace iron left for even the synchroton to pick up clear wording. 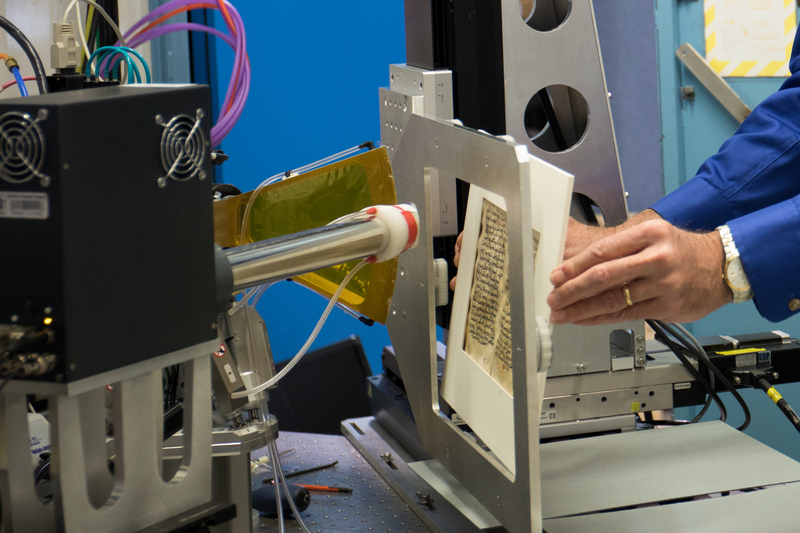 A study at the Stanford Synchrotron Radiation Lightsource (SSRL) at the Department of Energy’s SLAC National Accelerator Laboratory is scanning a section of the Syriac Palimpsest using X-ray fluorescence (XRF) which takes a more nuanced approached to trace elements. The early imaging results are very encouraging, with Galen’s original text clearly visible in green behind the medieval text. 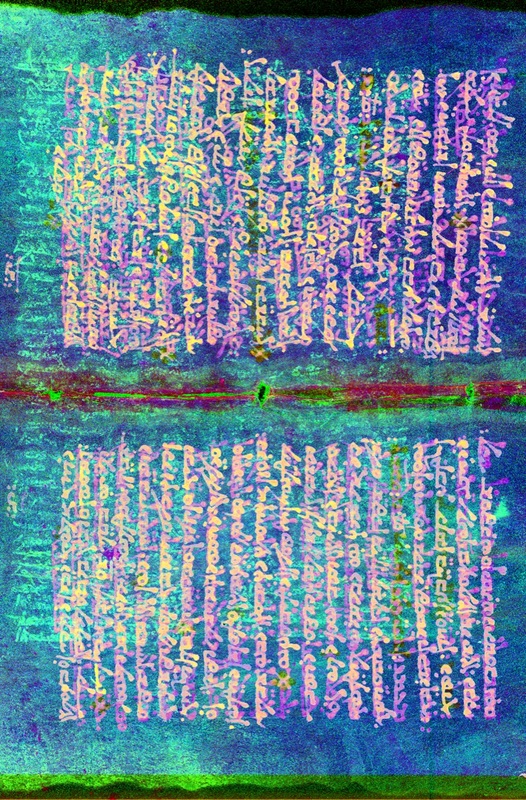 Once the scans are complete, they will be added to an online collection of high-resolution photographs of the Syriac Galen Palimpsest as it has been scanned with different imaging techniques over almost a decade of wide-ranging studies. Many earlier files have already been added to the online collection of the Schoenberg Institute for Manuscript Studies at the University of Pennsylvania Libraries and are available to the scholarly community and world at large. It’s a fascinating record of both an ancient document and modern advances in technology.